It’s been a while since the actual shoot itself, but the whole week of production we had for our first pieces was a wild rollercoaster of RAM’s, fire isolation forms and accidental property damage. And it was a whole lot of fun. 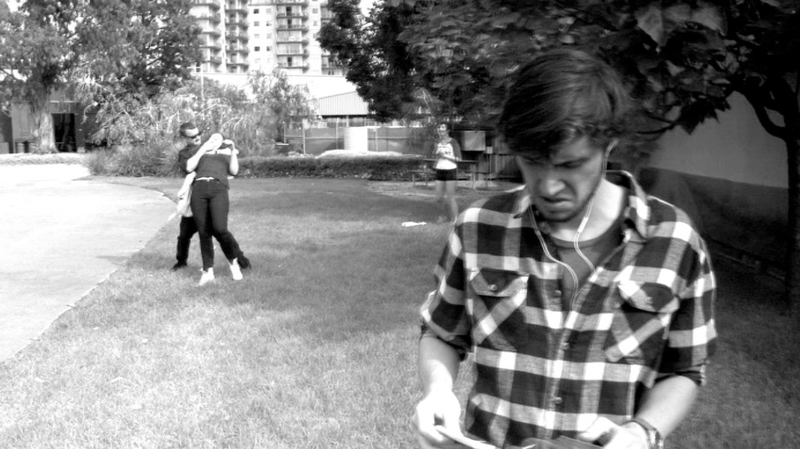 I loved seeing how everyone in Group A worked: as a director, DOP, 1st AD, camera assistant, and even as actors. We have a darn talented bunch of misfits we do! I was so impressed by everyone’s commitment and professionalism. As directors, some people were more direct and specific about what they wanted on camera, and some were more on the side of open collaboration and improvisation. I don’t find that either way works inherently better than the other, but I do know that personally as an actor, I like as much direction as possible, but with the availability to improvise if I so decide. I’m pretty open as a director: I like to ask every single actor if there’s anything they’d like to add, to help make the character their own. I’m also very easily peer-pressured. I was ecstatic with my shoot. My actors: Claudia, Jesse, Greta and Misha were absolutely perfect, and I couldn’t ask for better performances. A big thanks to the rest of my team as well: Gillian, Thien and Dongmei. Thanks to you all, it went by as smooth as a river of dark Cadbury. I also had a blast during filming. There was a lot of simultaneous choreography, so I wasn’t even looking at the monitor: I was belting out commands left and right, making huge gestures to nail the timing. I worked up quite the sweat. Around the fourth take, we actually got a round of applause from nearby spectators. I blushed a deep crimson, but continued to be professional. If I could do anything differently, it would to clean the lens before shooting. I thought it was a problem with the monitor, as there was just a certain part of the frame that was out of focus. But oh well, it’s a problem that will be rectified in the future to come. I’m sure Scorsese forgets to clean the lens every now and then. But he probably hires a dude to do that. Every day. …Okay, I’m gonna drop it now.